The chairman and president of Italian sports car manufacturer Ferrari recently had a two-hour meeting with Apple Chief Executive Tim Cook to talk about corporate strategy and management styles. Luca di Montezemolo shared the details of his meeting with Cook to students of Stanford University in a lecture this week, according to Wired. In his talk, Di Montezemolo revealed that he gained insight from Cook on Apple's focus on simplicity, design, and "a passion for product." The Ferrari chairman praised Apple's management style and leadership. He noted that employees at the company continue to carry on the legacy of Apple's late co-founder, Steve Jobs. 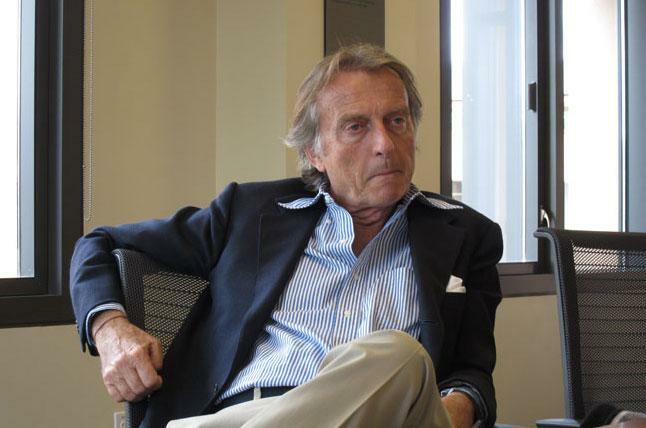 "Vision is something crucial for your people," di Montezemolo told the students. "Give them clear goals, clear priorities, and give everyone the possibility to grow up." No indication was given by di Montezemolo that he and Cook spoke about any future products or partnerships between the two companies. An official account of the meeting direct from Ferrari quoted its chairman as saying he was "impressed" by the "availability and openness" of Cook. "We're building cars, they build computers," he said. "But Apple and Ferrari are connected by the same passion, the same love for the product, maniacal attention to technology, but also to design." Ferrari President and Chairman Luca di Montezemolo, via Wired. In March, it was reported that Apple was looking to hire automotive engineers in China for an undisclosed product. According to a job listing, Apple was looking for a supervisor "with experience in CNC/die casting/stamping/plastic injection." Apple was also rumored to have shown interest in dabbling in the automotive space in 2007, when it was claimed that the company was in talks with Volkswagen over building an Apple-integrated concept car.